Condola Rashad, daughter of Phylicia Rashad, will star in David Leveaux’s Broadway production of Shakespear’s “Romeo & Juliet” as Juliet. Condola Rashad will join the ranks of many other African-Americans stars that are currently starring on Broadway. Rashad, who is a Tony Award nominee for “Stick Fly”, will star opposite of Orlando Bloom who will portray Romeo. Rashad most recently starred in the Lifetime remake of “Steel Magnolias” alongside Queen Latifah. Although, Leveaux’s version of “Romeo & Juliet” will portray an interracial couple, Leveaux doesn’t want the play to be a comment on interracial tribulations. 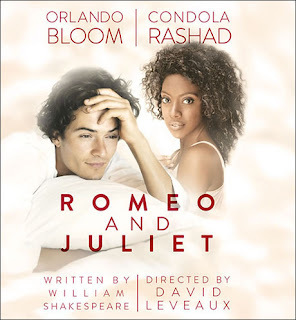 In “Orlando Bloom and Condola Rashad to Star in “Romeo & Juliet” on Broadway” by Felicia R. Lee for The New York Times, Leveaux comments, “The two actors I wanted to be together producing sparks just happened to be those two and I followed my nose in casting the families.” The two debating families will simply be all black and all white. The play will open at the Richard Rodgers Theater. It will begin previews on August 24th and open on September 19th. More information can be found here. However, before “Romeo & Juliet” begins Rashad will star in Horton Foote’s “The Trip to Bountiful” alongside Cicely Tyson, Cuba Gooding Jr. and Vanessa Williams. The play, which is already in previews, will open on April 23rd at the Stephen Sondheim Theatre. The play will be the first time Tyson return to Broadway in 30 years. “The Trip to Bountiful” is the story of Carrie Watts (Tyson), who is an active widow, who wants to return to her hometown of Bountiful, Texas. Cuba Gooding Jr. will portray her son, Ludie, who believes his mother is to frail to travel. Vanessa Williams, who most recently starred in “Tyler Perry’s Temptation” will portray Ludie’s wife, Jesse Mae Watts. While Condola Rashad will portray an unnamed young woman on bus who befriends Carrie Watts (Tyson). “The Trip to Bountiful” follows Carrie Watts as she escapes her family and travels to her gulf coast hometown. The journey, which seems ordinary, transforms into a life changing event. More information about the play can be found on their website. “The Trip to Bountiful” will join current African-American casted play, “Motown: The Musical” on Broadway. “Motown: The Musical” was written by Motown founder Berry Gordy, and Broadway heavyweights Doug Morris (Sony) and Kevin McCollum (Rent) are co-producers. The plot of the play will follow the rise of Motown which began with an $800 loan and started the company to Motown 25 in 1983. The story will also include a love scene in Paris between Ross and Gordy. The play will star Brandon Victor Dixon as Berry Gody and Valisia LeKae as Berry Gordy. Dixon most recently starred as Harpo in the Broadway Production of “The Colored Purple”. A role he received a Tony Award nomination for. LeKae most recently starred in “The Book of Mormon”. Charl Brown will portray Smokey Robinson and Bryan Terrell Clark will portray Marvin Gaye. A three-dozen ensemble and full live band will accompany the cast. “Motown: The Musical” is currently in previews and will open April 14th at the Lunt-Fontanne Theatre. More information and ticket prices can be found here. The three musicals, “Romeo and Juliet”, “The Trip to Bountiful”, and “Motown: The Musical” will star unknown and known African-American stars, and together they are proving that African-Americans can and will rule the great white way.